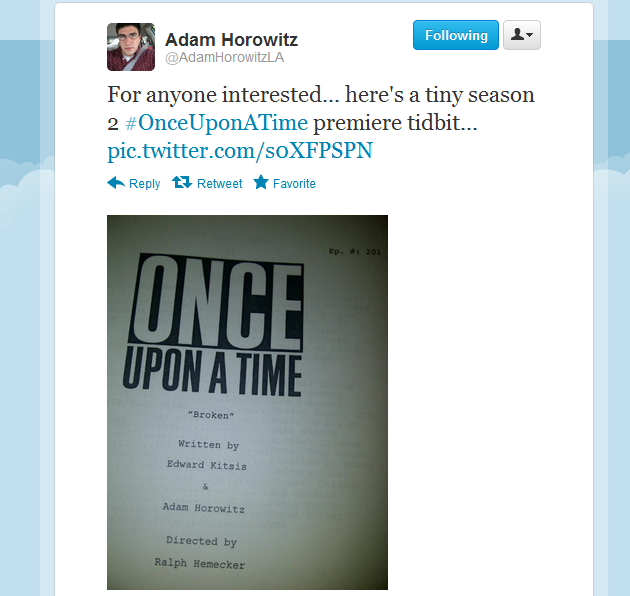 Executive producer, Adam Horowitz has tweeted out an image. Ready for this?! It is the title of episode one in season two on Once Upon a Time. Currently, on IMDb.com they are reporting episode one’s title as “Strange Things.” In our opinion, we would take the executive producer’s tweet over this assumption. We believe the first episode is going to talk about the curse that was broken in the finale of season one. Not hard to figure out, right? Well, what else do we expect? So much more. We will keep reporting back as soon as we hear anything else!